I’ve kept toads at home and in zoos for over 50 years, yet I remain enamored of even the most common local species. Others of my generation, be they herpetologists or hobbyists, feel the same…it’s hard to dislike a toad! 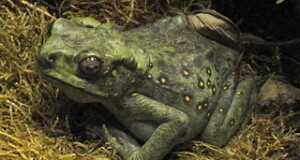 As pets, toads are generally far more responsive and “aware” than are their frog cousins, and with proper care they may live into their 30’s and beyond. Perhaps because they “know” of the protection offered by powerful skin toxins, pets become quite bold, and readily feed from the hand…sounds odd, but their fearless attitudes remind me of another favorite but very different pet – the striped skunk! To date, 578 species of toads have been described (family Bufonidae), so I’m guessing that many readers will have their own “best pet” picks. Please be sure to post your choices below. Each year, American Toads and several related species introduce scores of children to amphibian keeping. I can think of no better toad – or indeed amphibian – pet. Hardy enough for rank beginners, these stout little fellows also hold the attentions of experienced zookeepers – in fact, very few have ever been bred in captivity! Twenty-one similar species are classified with the American Toad in the genus Anaxyrus (formerly Bufo). Most are equally hardy and well suited to captivity, although the tiny Oak Toad (A. quercicus) may present some feeding difficulties due to the size of the insects required. Other good choices for the terrarium include Houston, Southern, Fowler’s and Great Plains Toads. Owners invariably describe each using words such as “charming”, “droll”, “friendly” and “engaging”. All are sometimes active by day in the wild; captives quickly adjust to their owners’ schedules, and will emerge from their shelters by day and night if a meal is in the offing. I’ve covered the care of American Toads and several other species in the articles linked below. Please also post any question you may have. Toads have porous skin patches on the chest through which ammonia (released with their waste products) will be absorbed. As ammonia is extremely lethal, strict attention must be paid to terrarium and water cleanliness. Chlorine and chloramine must be removed from water used in toad terrariums. Liquid preparations are simple to use and very effective. A highly-varied diet is essential. 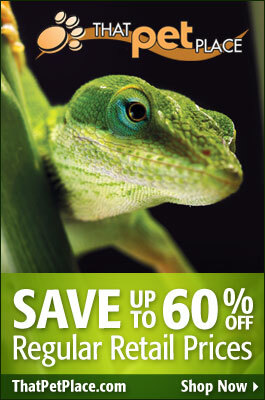 Crickets and mealworms alone, even if powdered with supplements, are not an adequate diet for any species. I have observed wild Marine Toads consuming over 2 dozen insect species in a very short time, and other researchers have documented a wider range of prey for other species. Pets should be offered crickets, earthworms (one of the best foods) roaches, sow bugs, waxworms, butterworms, silkworms, lab-reared houseflies, termites, flour beetle grubs, and wild-caught invertebrates (please see cautions in linked articles) such as aphids, “meadow plankton”, harvestmen, earwigs, ground beetles, grasshoppers, and moths. Once you have some experience with the American Toad and its relatives, you may wish to branch out into some of the less-commonly kept (in some cases very rarely kept!) toads. You have nearly 600 species to choose from, and some really break the “typical family mold” set by the American Toad. Spray Toads (not available in the trade) bear tiny live toadlets while Argentine Flame-Bellied Toads are as brilliant as any Dart Poison Frog. Huge lumbering Marine, Blomberg’s and Smooth-Sided Toads rival Horned Frogs in size, while the rarely-seen Mexican Burrowing Toad looks like some sort of amphibian space alien. US toad fanciers are fortunate to have 35-40 species resident, many of which are overlooked by zoos and hobbyists alike. Some of my favorite US natives include the Narrow-Mouthed, Red-Spotted, Spadefoot, Sonoran Green and Marine Toads. Toads learn very quickly where their meals lie, and will soon greet you as you approach their terrarium. They will even clamber up onto your hand to feed, but should not be held unnecessarily, or “petted”. In common with all amphibians, they are subject health problems once the skin’s mucus covering is removed. Handle them – carefully, and with clean, wet hands – only when necessary. While toads make excellent pets for responsible children supervised by adults, they do secrete virulent skin toxins and must be treated with care. Always wash thoroughly after handling them, and never touch your mouth or eyes before doing so. Do not handle toads if you have a cut in your skin. Toads that are licked or swallowed by children or mammalian pets can cause life-threatening reactions. All amphibians should be assumed to carry Salmonella. Infections are easy to avoid if proper hygiene measures are followed. Please see the CDC website and speak with your family doctor if you require further information.